It seems that at some point every year, the 80’s make a comeback, and this year is no exception. Lots of 80’s wear have been seen on the runway recently, including metallic and, of course, neon spandex. Don’t be afraid to incorporate a tribute to the 80’s in your outfits this summer with a pop of color or metallic. I’m always drawn to hot pink tops and metallic sandals to express my inner 80s girl. This bold 70’s trend has made its way to the runway with a bang. Looks like florals aren’t just for spring after all! Rock a floral skirt and a matching floral top this summer to try out this pretty trend, or try a body or pantsuit if you would like to try something new. If those are a bit too much for your tastes, a floral dress is always fun. Function over fashion? The runway has really favored this neutral fabric this summer, and it’s being worn in every way you can imagine. From trench coats to dresses, pretty much every designer incorporated khaki into their looks. 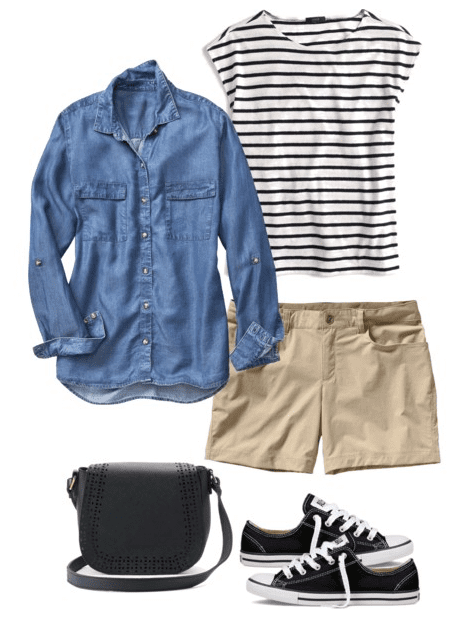 Try some khaki shorts or a mini skirt to try out this trend. At last, my favorite color gets the praise it deserves. Yellow has truly made an impact on the runway this year. Don’t be afraid to try it out; there’s a shade of yellow for everyone. 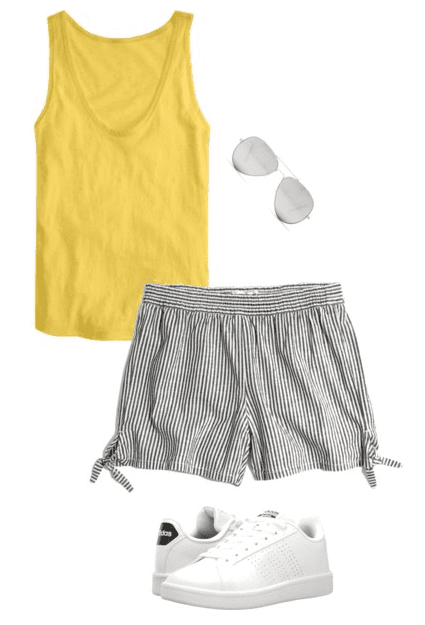 Try pairing mustard yellow with other neutrals. It serves as a type of khaki and therefore can be easily paired with other neutrals for an adorable and minimalist look. Shoulder details were perhaps the most popular trend on the runway this year. Everything from billowy to bunched, cropped to oversized. Ties and off the shoulder (just one shoulder, though) were also among the alterations made to the normal shoulder this summer, as well as rounded shoulders. This trend can be tricky, but start small and wear what works for you! 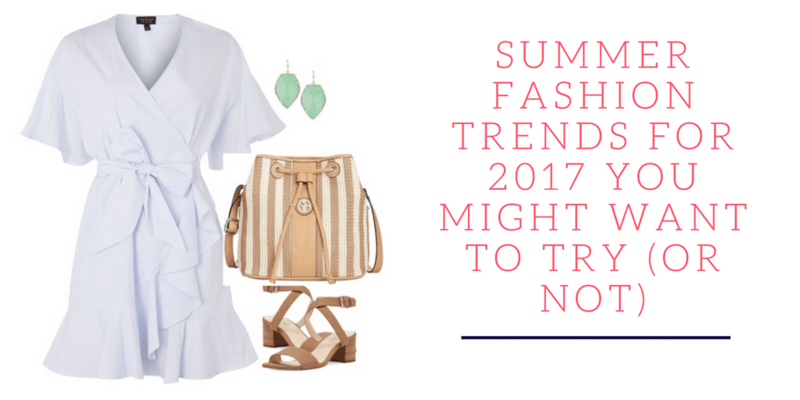 As always, don’t feel pressure to be “on trend” this summer. Try only what you want to, simple or bold! I love all of the styling advice and information here! I actually want all of the outfits! 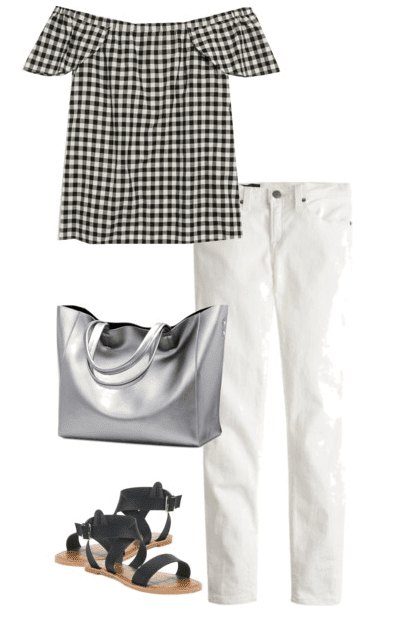 It is kind of like a wardrobe capsule and I could coordinate with different pieces!